Tampa Bay Research Institute announces “Discover the Power” Event on Thursday, April 16, 2014 from 5:30 to 7:00 PM at 10900 Roosevelt Boulevard North, Saint Petersburg, Florida. 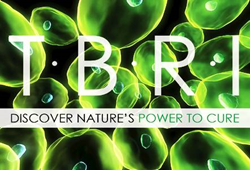 Tampa Bay Research Institute (TBRI), a private, non-profit biomedical well respected research institute today announced that it will host “Discover the Power” an event open to the public on Thursday, April 16, 2014 from 5:30 to 7:00 p.m. at its research facility/office in Saint Petersburg, Florida. TBRI was established in 1981 as the first 501 (c)(3) not-for-profit biomedical research organization of its kind in the State of Florida. TBRI is dedicated to the study, cure and prevention of cancer and chronic infectious diseases. TBRI is similar to a number of other research institutes in the United States and abroad in that TBRI is interdisciplinary in nature and focused on biomedical research. However, TBRI is different in that TBRI is dedicated to exploring unique biological pathways of the human immune system as they relate to several diseases, rather than maintaining a focus on a single disease. In addition, TBRI provides valuable community health education that is backed by the latest Biomedical Research. TBRI is an independent biomedical research institute. TBRI’s independence allows for all biomedical research to be approached utilizing a neutral, science-based foundation. Since its formation in 1981, TBRI has strongly believed that this flexibility has enabled TBRI to rapidly focus resources on promising areas of scientific study rather than on other, non-scientific requirements sometimes imposed by outside or industry funding sources. The independence also has allowed TBRI to serve all institutions and colleges that require assistance or cooperation, upon request. TBRI actively collaborates with universities and hospitals throughout the world as a scientific resource. Over the last 33 years, TBRI has conducted scientific collaborations with a number of prestigious institutions, including All Children’s Hospital, Eckerd College, Emory University in Atlanta, the Howard Hughes Medical Institute at UCLA, Johns Hopkins University in Baltimore, the Kitasato Institute in Japan, the Moffitt Cancer Center at the University of South Florida (USF), North Carolina State University in Raleigh, St. Pete College (SPC), Suncoast Hospital in Largo, Tampa General Hospital, the University of Chicago, and the University of Montreal in Canada. In addition, TBRI has trained in excess of 100 Undergraduate and Graduate students from the U.S. and abroad, as well as a number of postdoctoral fellows. Food, wine and refreshments will be served at the “Discover the Power” Event, and free parking will be available at the TBRI offices/Research facility located at 10900 Roosevelt Boulevard North, Saint Petersburg, Florida 33716-2308. Additional information including directions and to learn more about TBRI can be found at TBRI’s website, http://www.tampabayresearch.org. Please RSVP by April 10th as space is limited, via email at rsvp(at)tbri(dot)org or by telephone (727) 576-6675, extension 123. TBRI would also like to thank the sponsors for the April 16, 2104 “Discover the Power” Event: Barefoot Wines and United Capital Funding Corp. United Capital Funding Corp. http://www.ucfunding.com is a Corporate Supporter and partner of TBRI and is proud to provide this information on behalf of TBRI.